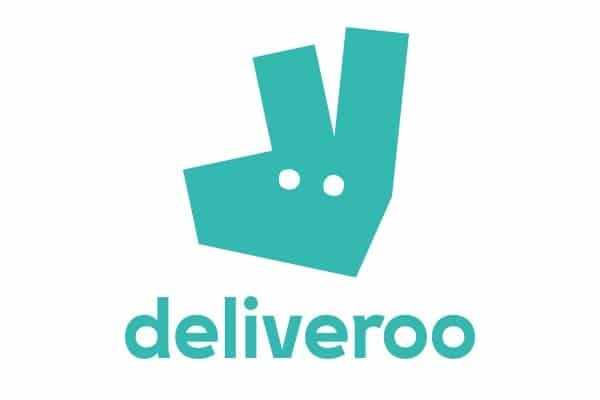 Dinner is on its way to our house for 8.30pm as specified thanks to the services of gourmet takeaway specialists Deliveroo. 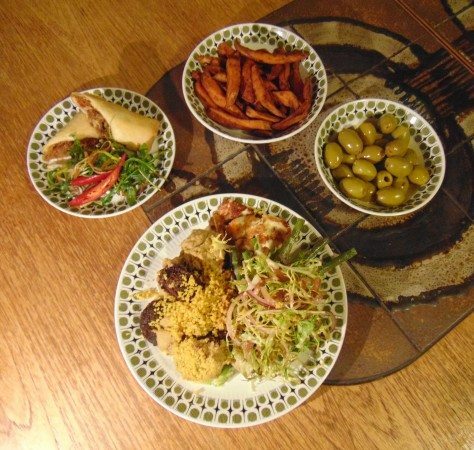 With a host of top Brighton eateries featuring on their website it’s simply a doddle to enjoy restaurant quality food in the comfort of your own home. Once the Deliveroo site knows your postcode it then presents which restaurants are delivering within that given area. Select the time for which you’d like your meal to arrive, followed by one of the many restaurants available and finally compose your meal – oh and pay. Your part of the deal is done. 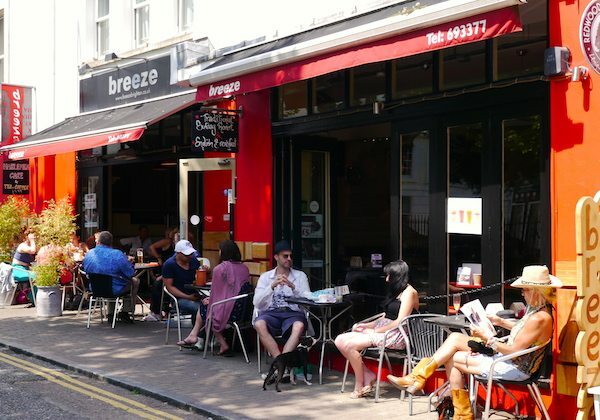 This evening we’ve ordered from the award winning Breeze Brasserie situated in the North Laine area of the city on Trafalgar Street. It’s a multifarious and expansive menu embracing food influences from France, Italy, Asia, Greece, North Africa and the USA. Lighter offerings or starters include risotto balls, duck pate with brioche and chutney, spicy prawns and mussels as well as falafel, Caesar and salmon salads that can also be sized up for a main meal. Prices are around £5 to £7.50. Larger sized salads around £8 to £12. Main courses are wide ranging, with casual and fine dining options both featuring aplenty. Amongst several others, there’s linguine with prawns, wild mushroom risotto, burgers of chicken, falafel and beef, slow roasted pork belly, lamb rump and chargrilled beef fillet. Prices start at around £8 and go north up to £20 for the latter dishes mentioned. The Deliveroo delivery guy turns up on the dot at half eight; a bit out of breath and panting but then he has just cycled up a steep hill in Hanover so who wouldn’t be. He still manages a smile and a cheery goodbye. The food is still of a good temperature and everything is intact. 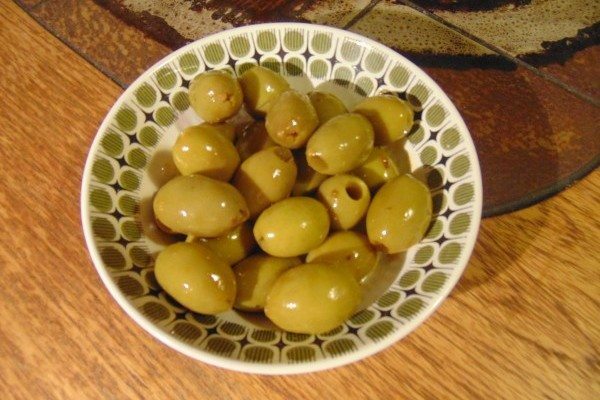 Our meal begins with a generous serving of satisfyingly large and robustly flavoured marinated olives along with some confit duck spring rolls. Housed in a light crispy shell the duck is rich, super soft in texture, delivering a gentle Asian inspired fragrance. 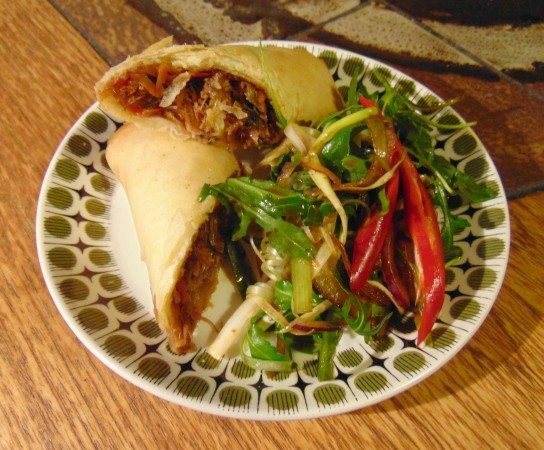 A punchy dipping sauce featuring dark soy and chilli cuts through the meat, while a side salad of peppery rocket, onion, shredded cucumber and noodles add a complimentary bite. It’s a good start. For our mains I’ve ordered the beef burger with chips (£10.95), my partner the (sized up) falafel salad with some sweet potato fries. The burger is substantial, housed in a first class choice of bun, a seeded challah. More or less as light and fluffy as brioche but minus the buttery sweetness. They always stay the distance too. 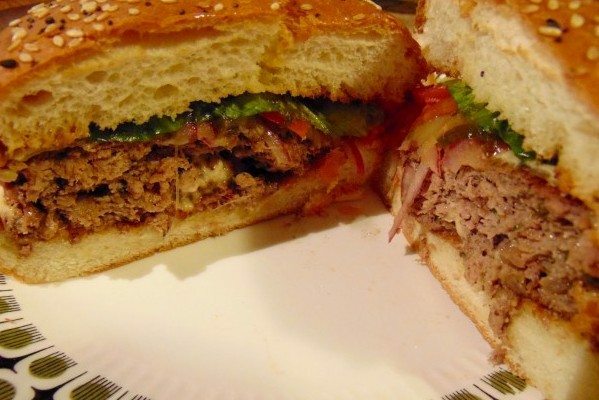 The patty is a good inch thick, well seasoned and well done with green herbs running through. Beefy in appearance and beefy in flavour. Atop of the burger is a swathe of melted cheese, a slice of tomato and tomato relish. A mellow chilli mayo lurks beneath bedding in with some crunchy iceberg. There is nothing revelatory here but with a burger there’s no really no necessity. It’s a thoroughly enjoyable meaty romp and well constructed too in between that choice Challah bun. 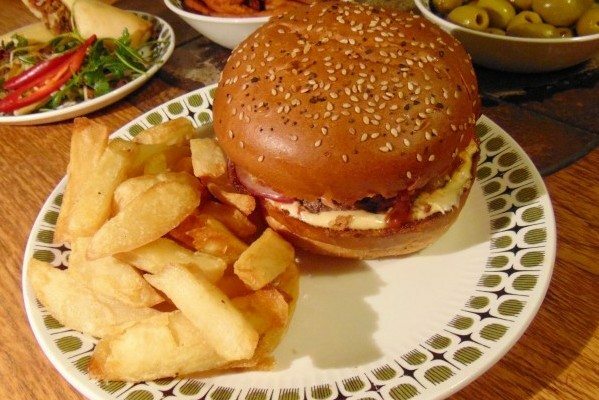 Refreshingly, the chips are of a traditional chip shop style; irregular in shape, golden brown, salted with crispy edges – good show, a fitting match for the no nonsense burger. 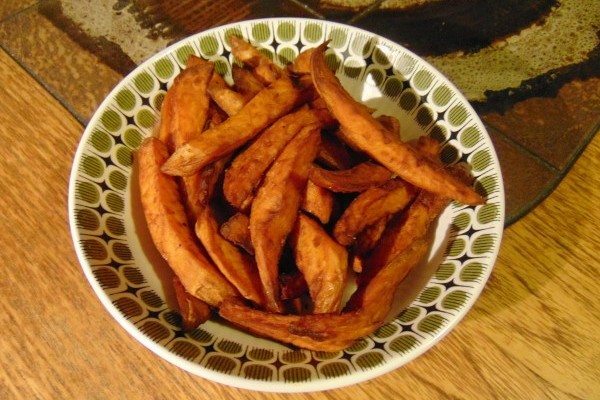 The sweet potato fries had been cooked well, still satisfyingly crisp after the journey and sweet as one would expect. My partners’ falafel salad was the highlight; a showcase of classic Greek and North African flavours and like the burger a generously sized affair. The salad comprised of mixed leaves, red onion and runner beans liberally coated in a soothing yoghurt based dressing. 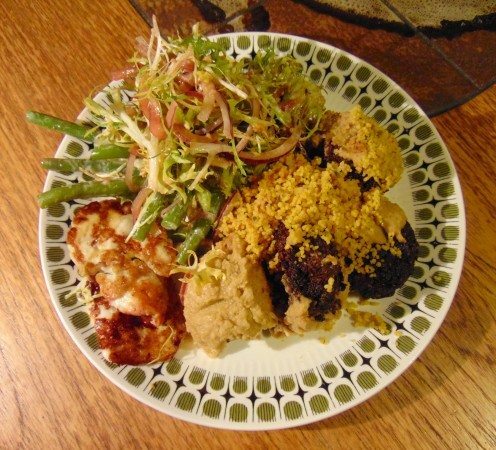 Centre stage, four sizable beetroot falafels, rich with garlic, eastern spice and the subtle savoury sweetness of beetroot, finely shredded. Good texture too, not heavy in the slightest. Fluffy cous cous, a lightly whipped and extremely flavoursome hummus as well as grilled haloumi accompanied. There for the taking to invigorate proceedings as and when required was a potent harissa and tahini sauce. Smoky and hot in equally good measure. A dish of classic flavour combinations all of which had been well executed to produce a particularly enjoyable plate of food. The Breeze menu is diverse, especially when you factor in breakfasts and Sunday roasts too. At first sight it might seem like a jack-of-all-trades approach but if you can pull it off like this then why not, the competent and appetizing end results turn any such notion on its head. What the menu collectively achieves is a broad appeal produced from good quality and honest plates of food. To be enjoyed in house or now at home.